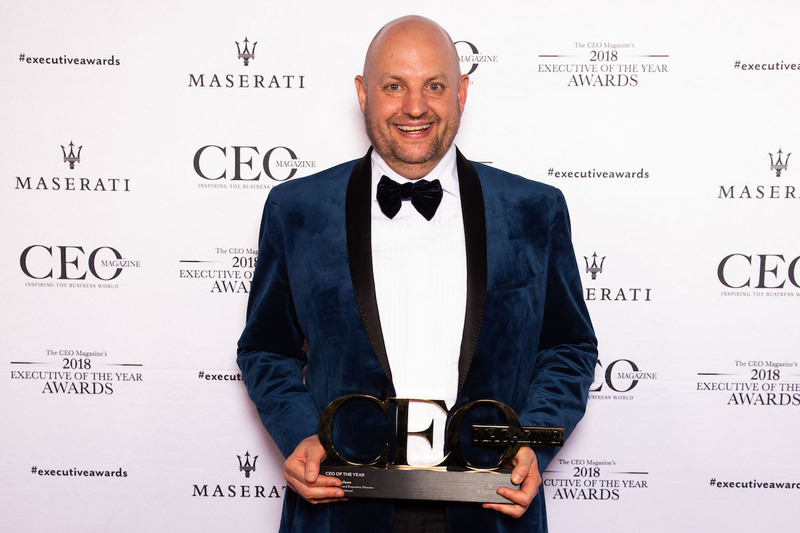 Mark Nielsen, APAC CEO and Executive Director of technology and digital recruitment company Talent International, has taken the top honour at The CEO Magazine’s 2018 Executive of the Year Awards. Held at ICC Sydney on 21 November 2018, the Awards celebrates the outstanding contributions made by senior executives in Australian businesses. Mark’s achievements at Talent saw him inch above the rest of the CEO of the Year finalists and claim the top title this year. He also took home the Professional Services of the Year Award. 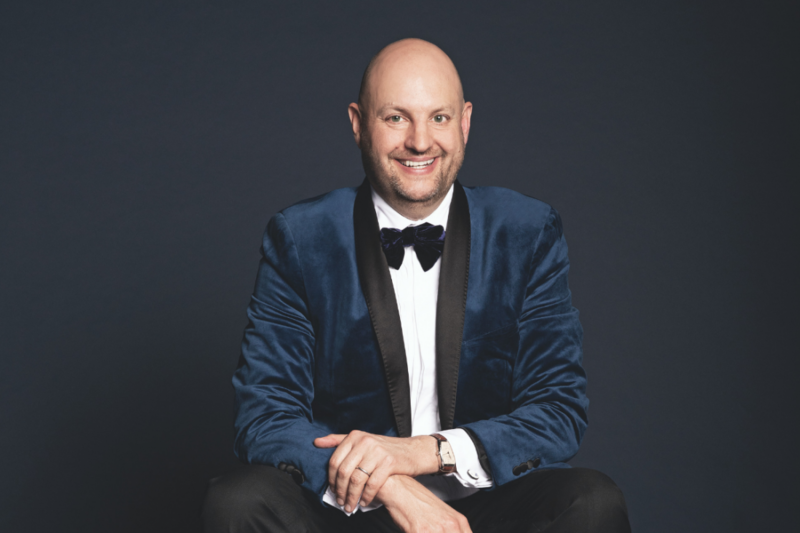 In his role, Mark has increased revenue by 18% to A$540 million, made Talent the number one recruitment firm in five of the ANZ markets, and reduced staff turnover from 25% to 12%. “It’s absolutely amazing,” Mark told The CEO Magazine after the win. “I’m ecstatic but what it ultimately comes down to is the team we have built at Talent International." Talent was founded in Perth in 1995 and has since established offices in New Zealand, Asia, the US and Europe. Mark, who joined the business in 2013, has been involved in expanding its Talent RISE and Talent Engage initiatives. Talent RISE places unemployed youth into jobs and offers them mentoring programs. In the 2018 financial year, 90 young people were placed into jobs; RISE in Adelaide was launched; and the initiative was rolled out in New Zealand and the UK. Talent Engage is a digital engagement hub for contractors, allowing them to upload their time sheets, access pay advice and earn loyalty points as well as exclusive rewards. It has also introduced an artificial intelligence job recommendation and skills profiling service. Over the past year, Talent Engage has grown by 74% to 5,500 active members. Mark has also been involved in internationalising the company’s Talent Unleashed Awards, which recognises individuals who use technology to benefit businesses and the community. In addition, Mark played a major role in Talent’s decision to acquire the remaining 50% of Talent UK. As a result, the business experienced a record EBITDA during the fourth quarter of 2018. Talent secured the marketing, communication and social media team for the ME campaign and was one of the first companies to support its corporate fundraising. Moreover, he emphasises the importance of understanding your competition, empowering your staff and knowing how to delegate. In terms of success, Mark says it’s “when you wake up each day and you’re healthy, energised and happy with where you are in your life. Mark went on to share this advice for the next generation of CEOs: “Follow your heart, be yourself and bring your whole self to work. “Follow your heart, be yourself and bring your whole self to work. The CEO of the Year Runner-Up was John Winning, CEO of Winning Group, and Highly Commended went to Rob Goudswaard, CEO of Credit Union Australia. 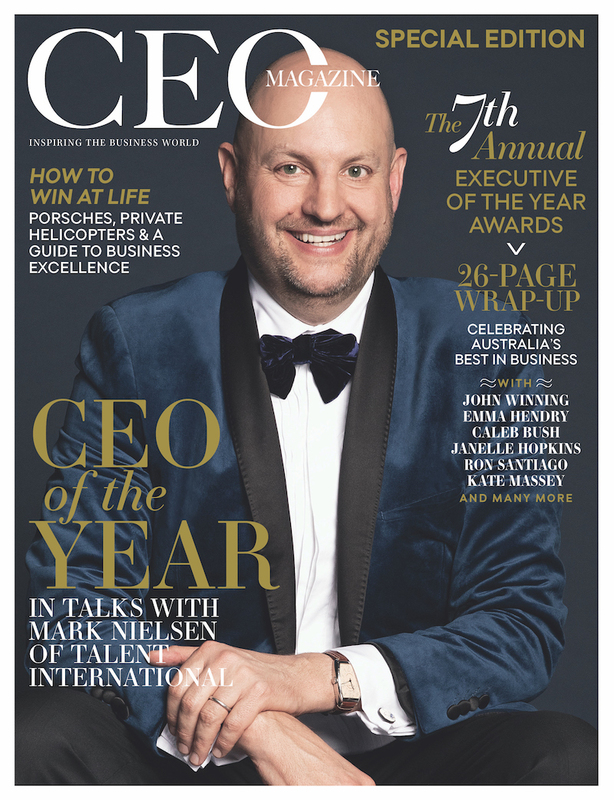 Last year’s CEO of the Year winner was former SBS CEO and Managing Director, and current Group Executive, Enterprise, at Telstra, Michael Ebeid. Find out the full list of winners in the 2018 Executive of the Year Awards.